We have tiny slices of tree branches from under an inch up to about 4" in diameter. Types of wood, diameters and thickness will vary according to what wood we have available. The tiny slices are great for making beads and buttons, jewellery, and medallions. The larger ones are great for name badges, pendants, ornaments, or to use as a mosaic tiled effect for table tops, walls, or other rustic style crafts and projects. All photos are of actual product! Click each to see a larger photo. Click here to see the photos submitted by customers for inspiration! WE CANNOT SHIP WOOD INTERNATIONALLY. Nice little Hardwood Maple branch slices that are about 25" diameter and 1/2" thick. Not sanded or treated. Bark ok. 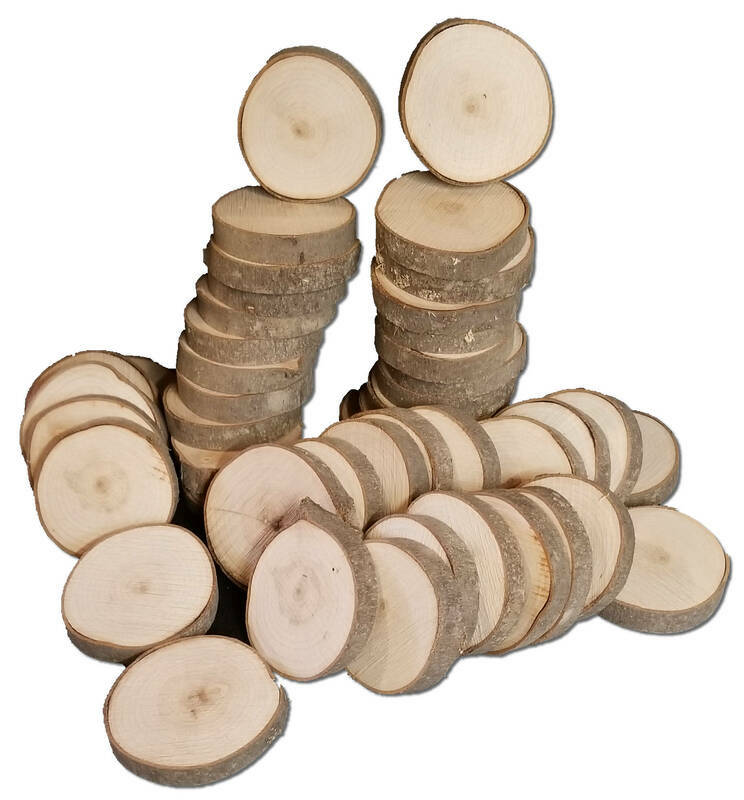 Very nice small Alder branch slices that are approximately 1-1/2" in diameter and 3/8" thick. Clear wood, intact bark. Not sanded or treated. .32¢ each.